One costly wholesale mistake that could have been avoided – Monitor Competitors. Benchmark Performance. Let’s continue our case that the automotive industry (as compared to other industries) is way behind in our use of data and analytics to help decision-making. To read the previous blog posts on this theme, click here, here and here. Just to be clear, I’m building an argument — but not without a solution — a solution that will be revealed during my presentation at the DrivingSales Executive Summit on October 23rd. Let’s start with a story about a Cadillac Escalade. 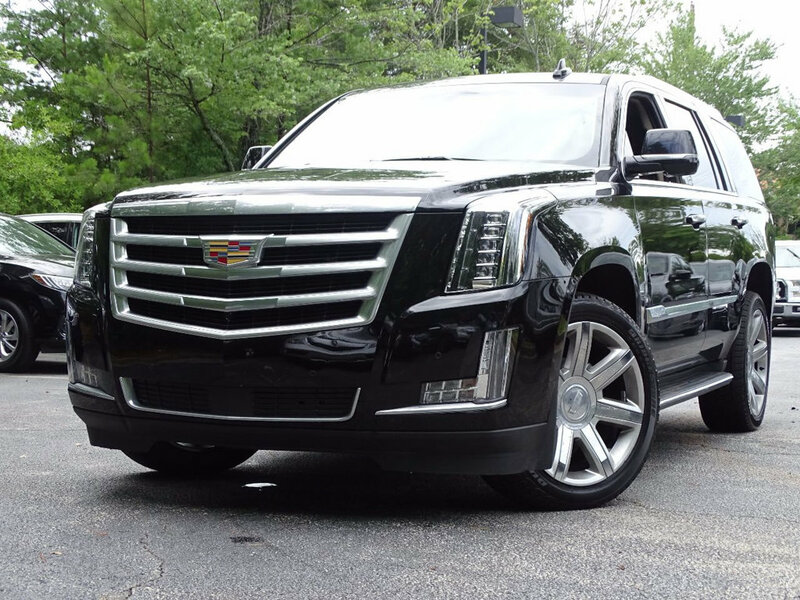 But this is no regular Cadillac Escalade. A few weeks ago, I was having lunch with the used car director for a mid-sized dealer group on the east coast that centralizes used vehicle acquisition across their stores. When he got the vehicle back to his Cadillac store, his used car manager pointed out that they already had in stock an identically equipped 2016 model with lower miles — and here’s the kicker — listed for a retail price less than my friend just paid at auction. Ouch. So now the same store was stuck with two identical vehicles — great trim, color and package combinations for their local market — both priced at retail way under the wholesale price guide. And the sad part was that they were likely to take thousands of dollars in loss on each unit. This story might make you roll your eyes, but this kind of problem happens all the time at dealerships all over America. Situations like these cost dealers hundreds of thousands of dollars per year. Who’s to blame for this kind of mistake? We really can’t blame this dealer for this error. After all, he bought what appeared to be a perfect vehicle for the market. It was the right trim, color and had the right package and options. The vehicle in question was well behind guide book. But what that guide book didn’t do for our dealer was show real-time pricing in their local market. And then didn’t help with the local context of what he was going to be competing with in his market (including competing with units already on his lot!). So, what appeared to be a hot unit was actually in over-supply, and recent price data hadn’t caught up in the price guide. This is a great example of data and insights letting down a dealer. Things shouldn’t be this way. We need to do better as an industry. The industry needs to bring real-time tools to dealers that identify problems, provide immediately actionable recommendations to resolve these problems, and interoperate with all of a dealer’s existing systems. We’ll be unveiling the next generation of dealer-facing data tools at the DrivingSales Executive Summit on October 23rd in Las Vegas. I am extremely excited and looking forward to sharing this game-changing product with the dealer body. VINFactor translates mission-critical vehicle data into quick usable insights. We conducted 400 dealer interviews over the last nine months. We found the same objections shop over and over again (“what is what is wrong, what should I do, how should I do it?”). Dealers complain that they have too much data, too much information, too many tools — but have no way of distilling all of this down into actionable insights that will “move the needle” on their business. VINFactor improves inventory turn, increases profit per unit sold and drives increased gross profit for dealers. Get VINFactor for free for a limited time: www.VINFactor.com. Previous Previous post: Why do we continue to buy Audi A4s without navigation?